System FIRITT is a comprehensive tool to planning and supervising the implementation production of any industry, both to typical and configurable for individual orders. We plan every project from the basics, and our experience and knowledge ensures customer, they would get exactly what they expect. Implemented project does not absolve us from further cooperation. The high level of service and support, that makes our every customer feel special. The entire system FIRITT consists of modules, which together form a coherent whole. With these modules can be cited module production, contractors or magazine. Each of them has its own purpose and use of the system. The system is adapted to the requirements of the customer. We focus on customer satisfaction and the full realization of their needs. If during the implementation of the system turns out, that it does not satisfy any requirements, we are able to develop software with necessary functions. BBeS sp. z o.o was founded in 2007, is a continuation of the company SYSTEMY INFORMATCZNE, operating since 1995. The company develops software for the Small and Medium Enterprises. They already use our services from many years. Now is time for your company to be convinced about the possibilities of our software. 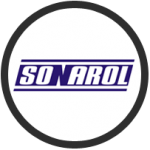 Company "SONAROL" was established in January 1997 as a wholesaler and producer of parts for agricultural machinery and automatic feeders for cattle and pigs performed on the basis of their own innovative solutions. The company WIKĘD is a reputable and recognized producer of windows,doors and aluminum structures. In our authorized dealers will you find qualified workers, whose experience and professionalism are at your disposal. 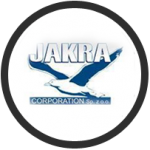 The Company JAKRA Corporation provides comprehensive support investment in the field of passive fire protection.